A little while back we posted some Quick Prep Activities. 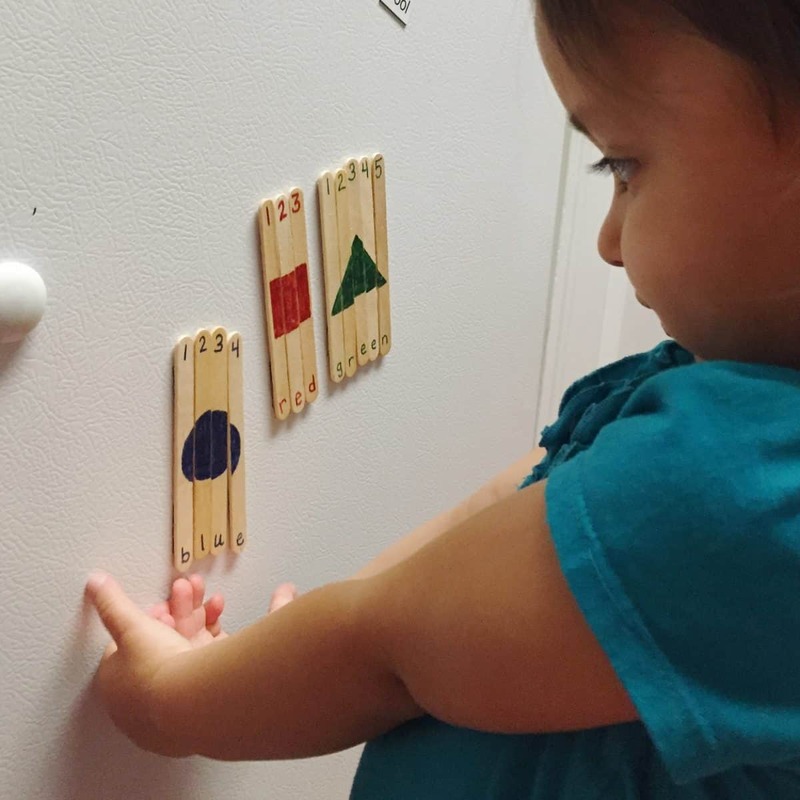 We had created fun picture puzzles to put on your fridge. While my son (7) still loves those they were a little hard for my daughter (2) to create. She loved the idea of it. 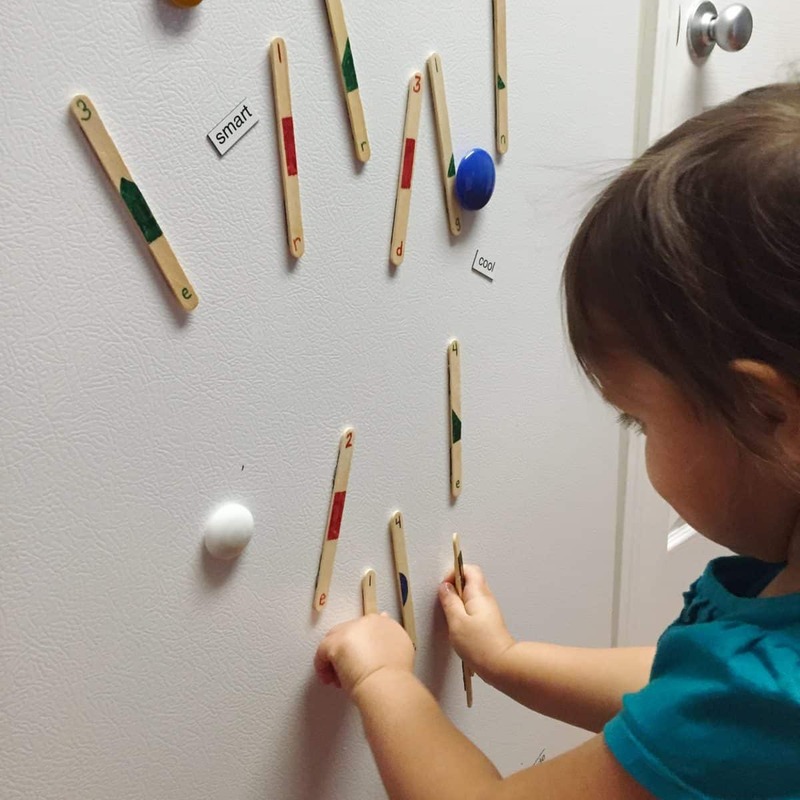 Still played with the stick magnets, but I had to help a lot when it came to completing the photo. I went back to the drawing board to make something that she could really enjoy. 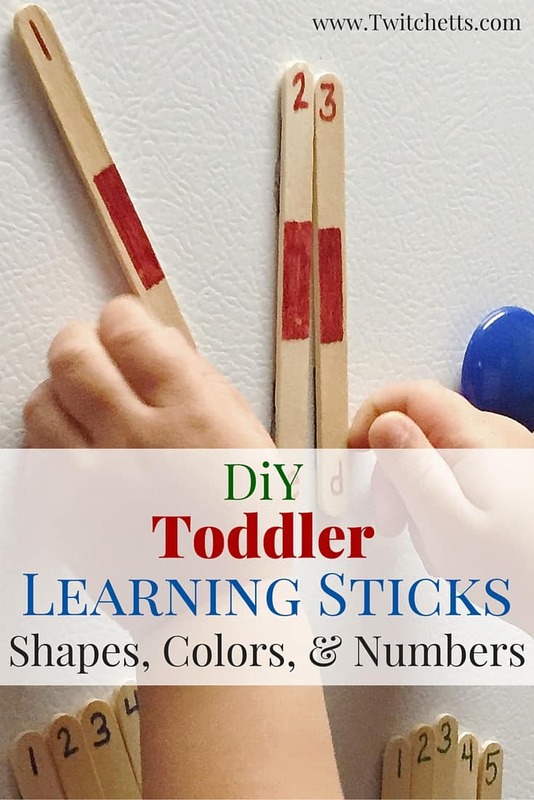 Which resulted in these fun toddler learning sticks! Now these definitely evolved. I started with shapes. Then added the numbers. This worked well, then when V was pointing out the colors I realized I could make that work too. I made a few changes and there we had it. The colors worked with the number of pieces used! 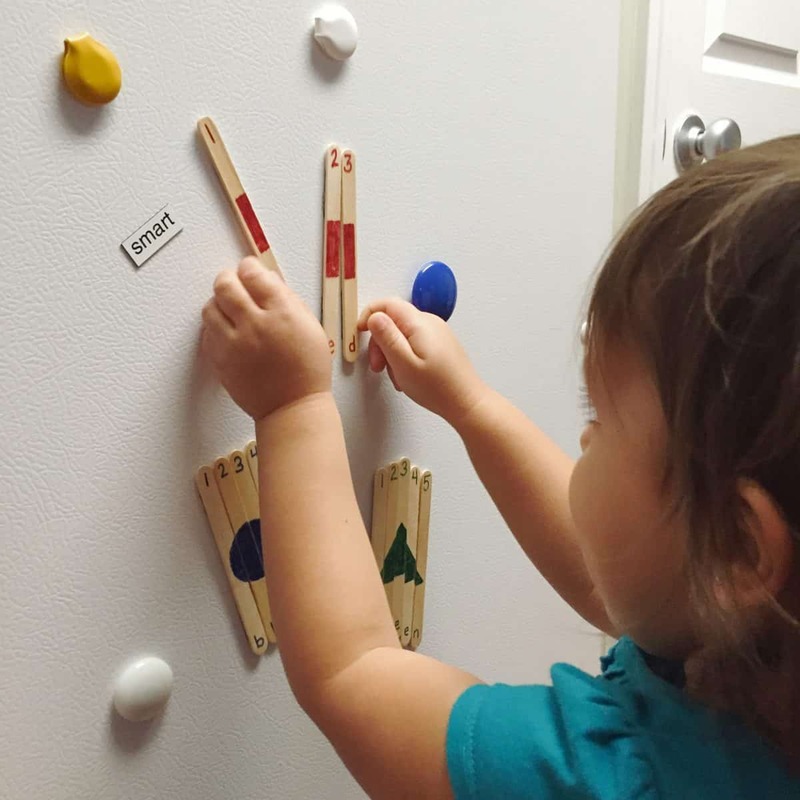 Start by gluing magnet to the back of your popcicle sticks. I prefer hot glue because it dries fast. 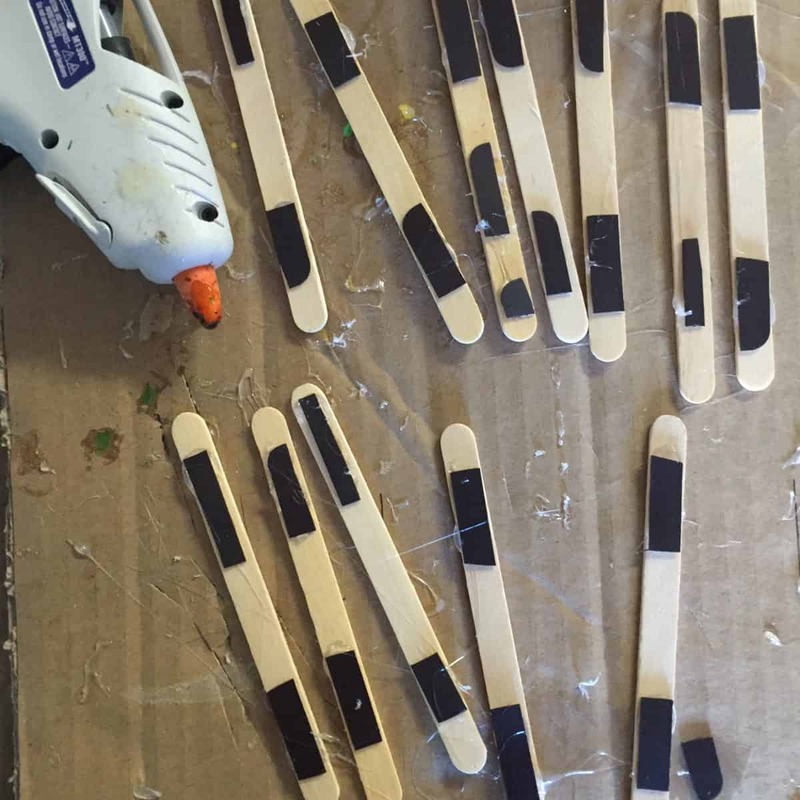 Any glue will do as long as you give it ample time to dry. Try to have some magnet close to the top and bottom of your sticks. That way they don’t pop off your fridge when your little ones touch the numbers and letters. 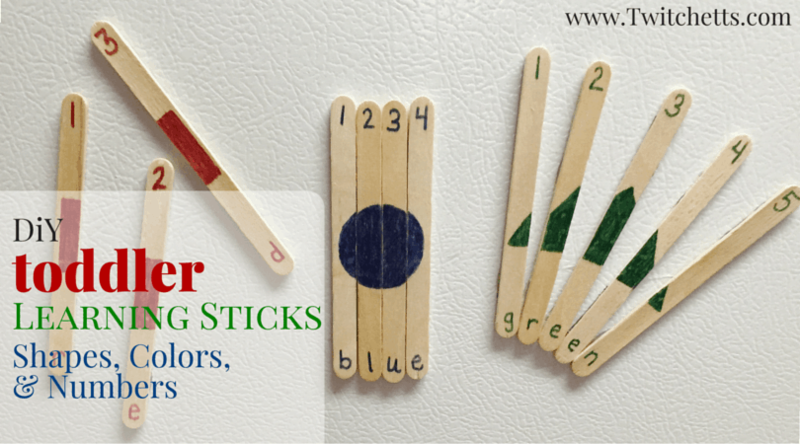 Next using a piece of tape to hold the sticks together draw on your shapes, numbers, & colors. She Loved putting these together over and over. They are perfect because while I am cooking she is playing in my sight, and she’s learning at the same time! Every time she finished we count the numbers, named the shapes, and colors. I just love when they learn through play. 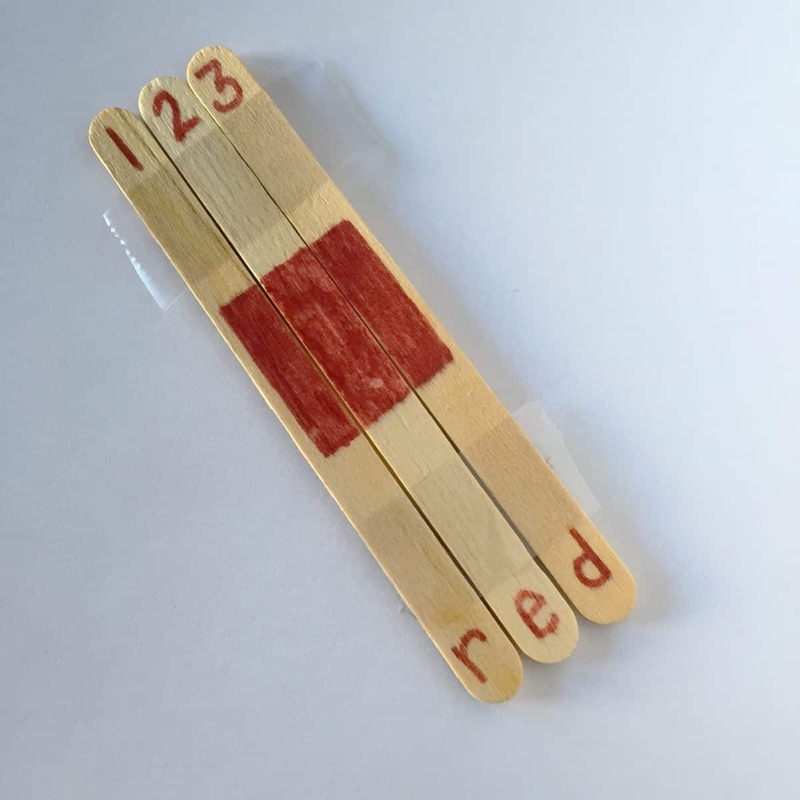 If you kiddo is too old for these learning sticks check out this post where we used pictures! Such a great learning activity!